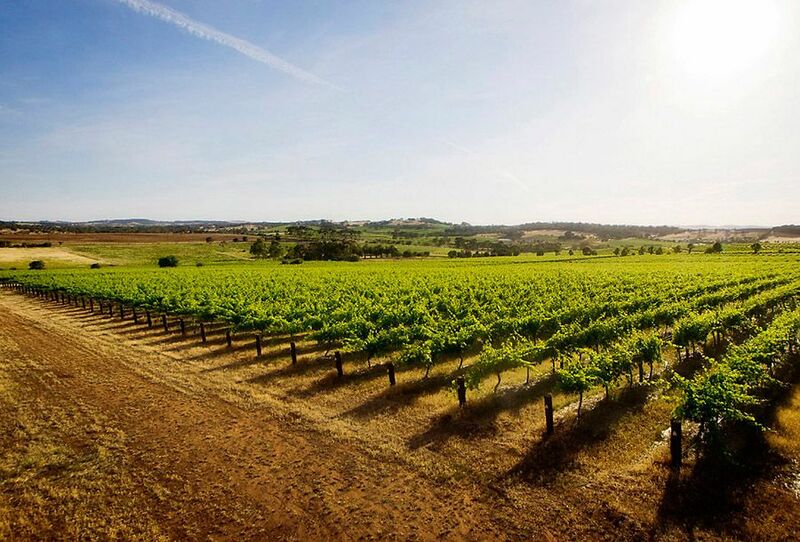 In the last interview Dr Liz Thach commented on a few things Australian winemakers might consider when exporting to the USA. One of the things Liz mentioned was ‘Old Vine Grenache’, a favourite of Michael Twelftree, who runs Two Hands Wines in the Barossa Valley. The winery exports over 30% of its wine, most of it to the USA. 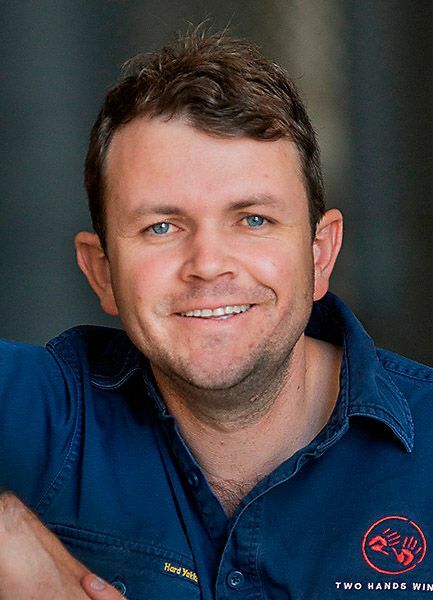 “The international Grenache story interests me,” says Michael, who Robert Parker Junior once named as ‘the finest negotiant south of the equator’. Michael with L-R, Grandma Mavis , Mother Bev , his Sister Carrie and Father John. Photo : supplied. I was very fortunate. I grew up with very loving parents. Dad worked very hard, he started a construction company and my mother was a school teacher who taught grade one. 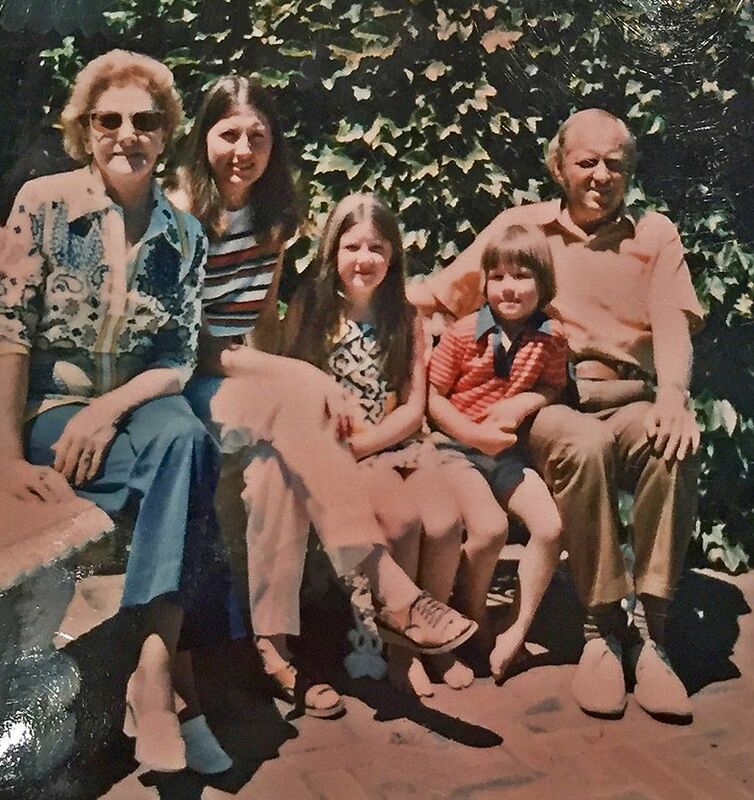 We didn’t have a lot of money, we didn’t have a TV or a car – but we had a great family life . The person who had the most influence on me was my grandfather – he was a market gardener near the Marion Shopping Centre. He couldn’t read or write but he could grow anything. He used to cart grapes by horse and cart up to Penfolds when he was younger. He spent a lot of time at the pub and he’d always have a couple of long necks at the table at home but he would be up at 5 am every morning to take his fruit and veg to the market. I just used to sit with him in the truck and walk up and down with him at Market. I didn’t think of it much then but the ability to grow something, to understand the seasonal variation, to have that knowledge was so valuable. I always used to joke that if anyone could have written a book about market gardening it could have been my grandfather. His knowledge was unbelievable. I just loved spending time with him. Quite often now I will spend all the day in the vineyards and I still have this feeling of attachment like I was a little kid with my grandfather. What got you into wine ? I didn’t grow up around wine, we rarely had wine at the dinner table, occasionally mum and dad would open a bottle but it wasn’t central to their lifestyle. But there came a stage of my life when I wanted to take a nice girl out and if you went to dinner you had to order wine. RIP ‘Big Bob’. At home,April 1st 2015. Photo © Milton Wordley. About this time a friend took me to a wine tasting at Melbourne Street Cellars and this kind of magical world unfolded in front of my eyes, I asked a lot of questions that afternoon. The third ever tasting I went to was hosted by Bob McLean; that was the good old days, you can’t forget moments like that and the influence they had on you. What I love about wine is that it is the full stop at the end of the day. It isn’t the central point of having a good time but it’s part of having a good time. I don’t really like over analyzing wine. The best wine is one that doesn’t get discussed, it gets drunk, and I am a big believer in sub-conscious consumption. I think we miss the drinkability of wine at times. Wine has always been considered a bit elitist and that’s something I want to change in my generation. What is the back label for Two Hands ? 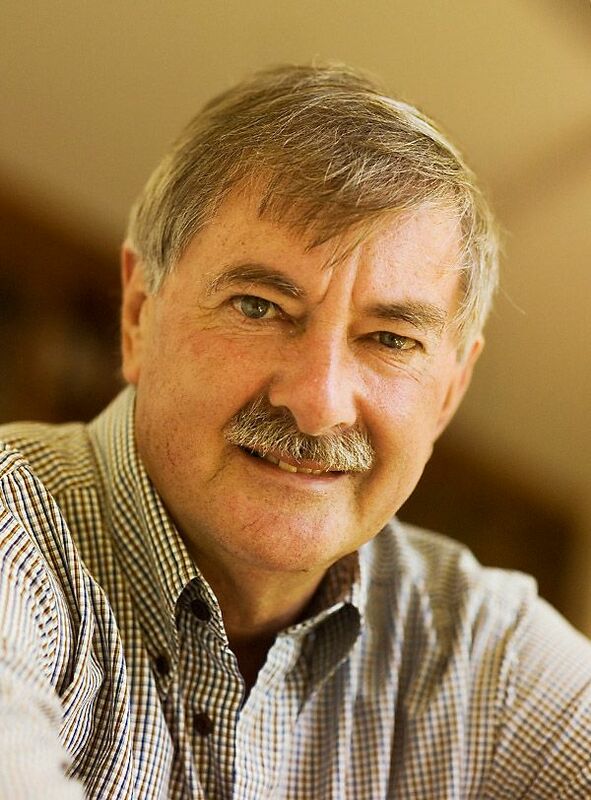 Two Hands started – when my original business partner Richard Mintz and I sat down at a friend’s engagement party, put a bottle of Australian Shiraz on the kitchen table and said “ That is what the world wants, how are we going to give it to them ? ” So we wrote a business plan, put $30,000 in each and started the business. We were very naive. My background was construction, Richard ran a cooperage in the Barossa. I didn’t know a lot about winemaking or viticulture back then. But I had learnt business through working with my Father in construction. That was in 1999 and its been very successful, we’ve been incredibly fortunate. We started out doing 14 tonnes in our first vintage. We now crush around 1,000 and de-classify around 20% each year to produce around 50,000 cases. In Dad’s business, we had around 40 people working for us. They were all sub contractors and we all had to work together, a bit like our growers are now. It taught me how to build relationships, how to have integrity, how to be fair – you’ve got to give and take . Dad’s line was “you’ve always got to leave something in the deal for the next guy”. I’ve tried to follow that advice. My growers are great people and if I don’t pay for their grapes they don’t feed their family – that’s their main form of income for the year. I’ve never missed a payment to a grower and that is a flag-bear for me. I think sometimes in the past wineries have used their growers like a bank. They’ve turned them on and off as they have needed demand and supply. That’s not on with me. 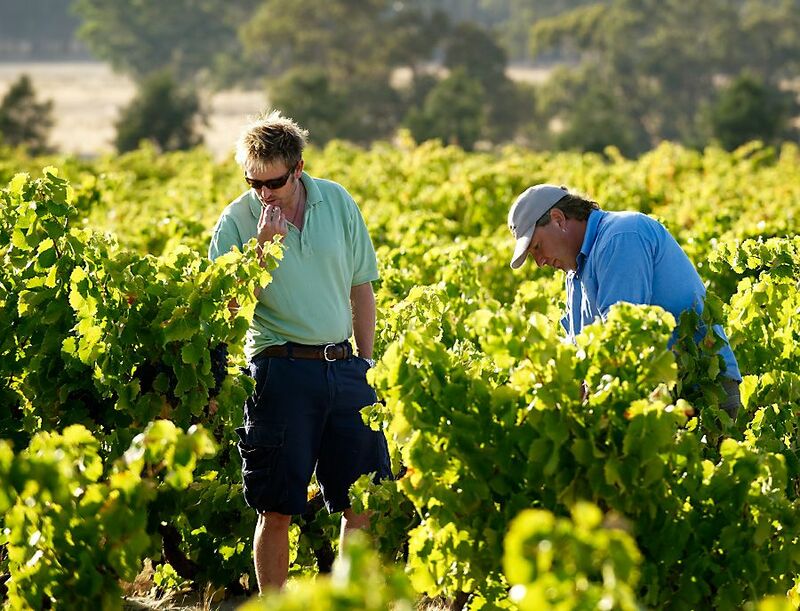 Michael bunch sampling with grower Joel Mattchoss in an Old Vine Shiraz block, Eden Valley : Photo © Milton Wordley. We started to export very early. I remember when we had only just vinified our first vintage, I got on an airplane to the US, with little knowledge and few contacts. I didn’t really know where to start. I would fly into cities and meet with people. Many of the original people I still talk to today – the original people like Matt Mabus in Washington and Ronnie Sanders in Philadelphia. Somehow I sold all our first three vintages to the United States. A few years later I signed a twenty year agreement with a top importer called Terlato. Twelftree Grenache on the Terlato Wines web site. They have been wonderful because we hit the US market when Australian wine was pretty popular. We have sold the same amount of wine in the US over the last ten years. Its about 30 % of our market. It’s hard work, I’ve done 57 trips to the US and been to just about every State. You’ve got to do it face to face, look people in the eye, shake their hand, that’s how you build a brand. We’ve been fortunate to build some great relationships – its like any trading relationship there are ups and downs. I look back on the naive risks we took when we started – I couldn’t do it again, knowing what I know now. Two Hands Marananga Winery and Cellar Door : Photo © Don Brice. The business has grown, we now employ 23 staff plus our contracts with growers, but more importantly its just been an incredible journey. Initially were you something like a negotiant ? When we wrote our first business plan we looked at about twenty different wineries and their models. The brand I kept coming back to and who managed their production brilliantly was Brian Croser’s Petaluma. I loved how they had inverted their production model. Brian Croser : Photo © Milton Wordley. At the time we wrote two business plans – one was to buy land and plant vineyard. 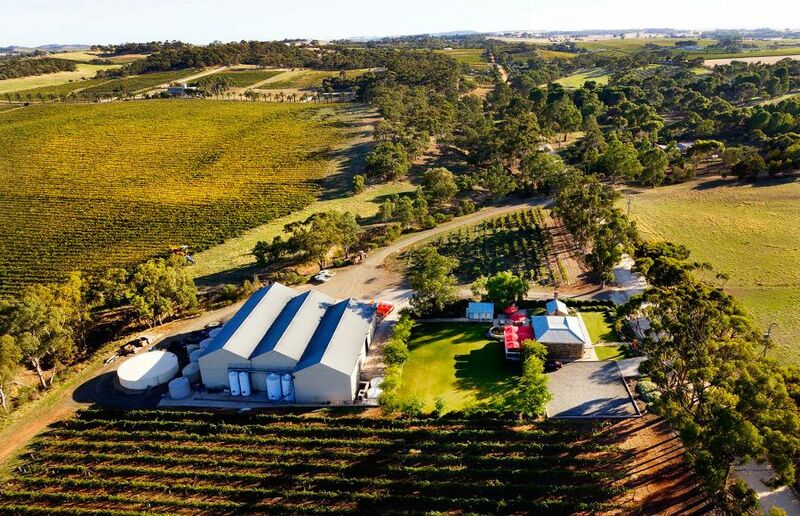 That was going to take 7 years to come to fruition, the other business plan was to start out as a negotiant and then to build a winery and then to control our distribution – really a marketing company first. So we opted to go with the second option and then really work backwards – so we got a label – we got wine into the market – we got it into people’s mouths. That’s really the secret – to get it into people’s mouths. We got market share and then built our distribution around the world with some partners that I have worked with from day one. They come and visit all the time; Howard Wasserman was here the other day from Ontario – he’s been with us for 15 years, and Mr Park from South Korea, we had our tenth anniversary of working together, we are now the largest Australian brand in South Korea. All of the relationships that we have formed have been through highs and lows, but we are still together. We have now gone back to our first business plan, we bought our first vineyard in 2001 and what I have been doing is buying land as we go, because I actually want to plant my own vineyards, with my preferred varieties, clones, trellising, water, aspect, soil, etc – and with the knowledge I’ve got now. What if you had done plan one at the start ? Well we wouldn’t be in business today. We both had girlfriends who became our wives – I had four children, Richard had three. You’ve got to find money to live on. If we had bought land when we didn’t know what we were doing we would have bought the wrong land, employed the wrong people and put the wrong grapes in the wrong spot. I am now doing it with sixteen years’ experience, much more knowledge and a bit of money to invest wisely. A few years ago Richard wanted to leave the business and I now have a new partner Tim Hower. Tim is from Denver, Colorado, he works in oil and gas and having been involved with Santos here for over 28 years, he loves the Barossa Things change, people move on but its great to have a new partner to help me and to share in the journey. As a shareholder and director of Two Hands how do you build your team ? Two Hands Michael : Photo © Milton Wordley. The way I like to employ people is to give them a lot of leeway. I put so much faith and trust in our employees. The culture here is phenomenal. We have lunch together every Thursday, we get the pizza oven out and we open wines that we collect together or I find around the world. Hopefully with our employees its very much “you own that part of the business – that is yours… just get on with it and if there is a problem come and see me” kind of an approach. I don’t like micro managing people. 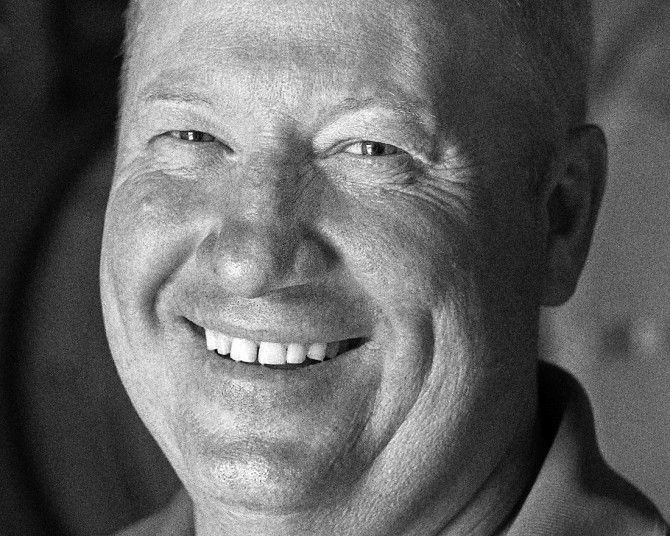 Winemaker Ben Perkins : Photo © Don Brice. Two Hands has been successful and that is not just Michael Twelftree, that is the combined efforts of the group of outstanding people. Head of sales is a Frenchman, Pierre Henri Morel. He ran one of the top 10 wineries in France, Chapoutier, based in the Northern Rhone. He ran the entire business for 10 years and joined us two years ago because he wanted a change of lifestyle for his family. Ben Perkins our head winemaker has been with us for 9 years. He started off as a cellar hand and I saw huge talent in that kid at an early age. 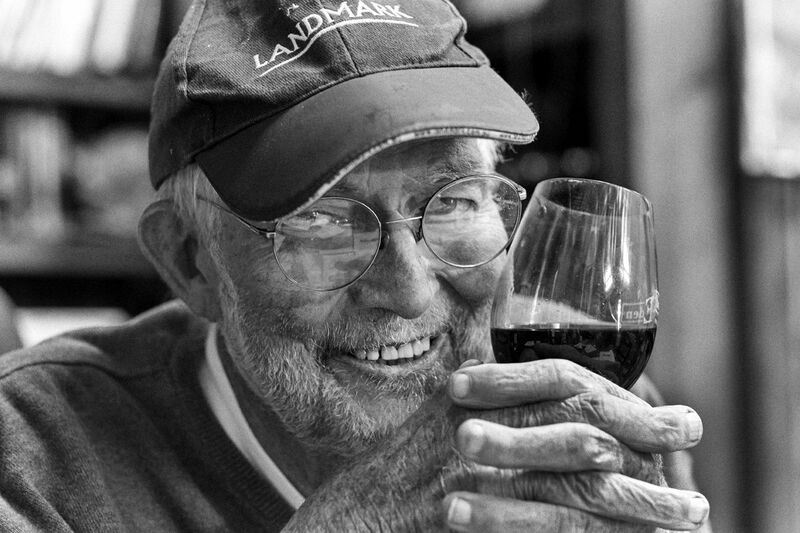 It’s a rare find to have instinct in wine making and to have a great palate – I always knew Ben was special. Phil, our general manager has been with us 12 years, he started as our accountant and he’s a great foil because I’m not a very detail person and he’s a very detail person. Danielle, our head of accounting and Fiona, our production manager both do a great job. Shannon has been with me forever and runs cellar door. He personalises the brand and talks to people. 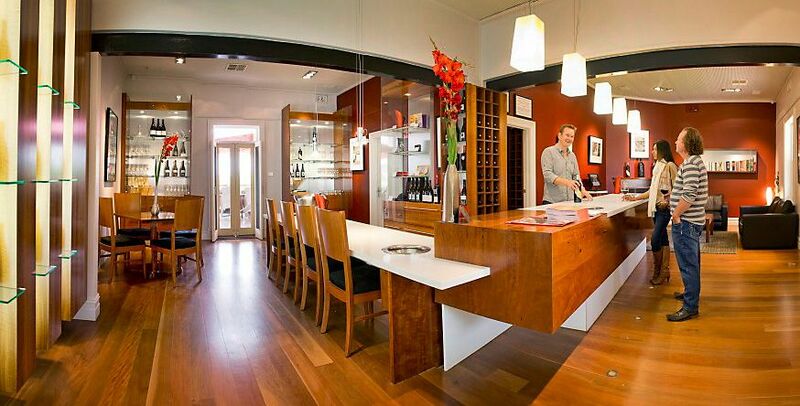 You won’t find a wine review at our Cellar door. We could wallpaper the wall thousands of times over but that is not what I want consumers to think. Two Hands cellar door : Photo © Don Brice. I want people to come in, taste the wines and if they like them to buy them; to start a journey with Two Hands that hopefully will last twenty or thirty or forty years. One of my favourite jokes is ‘ What is the difference between God and a winemaker ?… God doesn’t think he’s a winemaker…” I think we’ve put winemakers far too much on a pedestal in Australia. Don’t get me wrong, I sat at a table of 40 of them at dinner the other night, I think we’ve got some brilliant winemakers. Way beyond any capability that I could achieve – they are absolutely phenomenal winemakers but we put them up as the rock star. Who makes the Rolling Stones…. Mick Jagger – not really, its the four of them playing together that make the Rolling Stones. You can’t just have a front man. What started this Grenache project ? 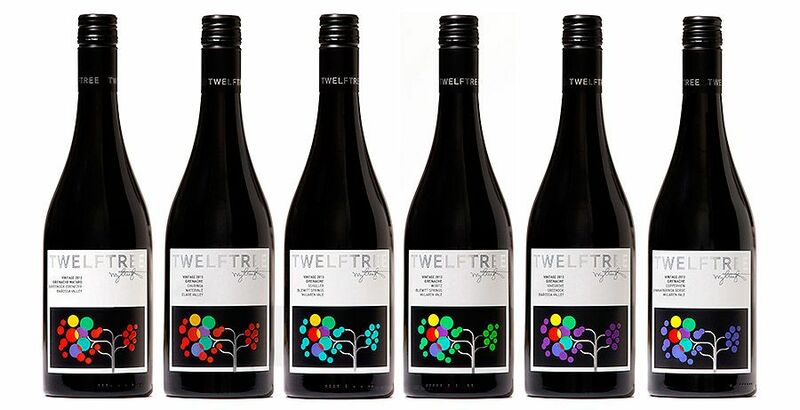 The 2013 Twelftree Grenache line up : Photo © Don Brice. It was on a flight back from Burgundy. I just thought at Two Hands we’d got very mechanised with our winemaking. We processed everything kind of identically and I really wanted to have an R+D department. There were so many techniques which I’d seen in Burgundy that I wanted to trial. I’m very mindful that wineries need to be very careful when they change direction with their winemaking style because you’ve built up a consumer base that like that style. Pinot Noir is my favourite grape variety, but I think Pinot Noir is very fickle especially in South Australia. There are some wines around that hit the target and some others that hit it occasionally but with Grenache it was a new style. Nobody has really gone hard with Grenache, they don’t all taste the same. So what I thought was – I don’t have Pinot Noir to work with but I do have Grenache. I do think there are some similarities between Pinot Noir and Grenache in that you get an aromatic profile and some fine tannins. 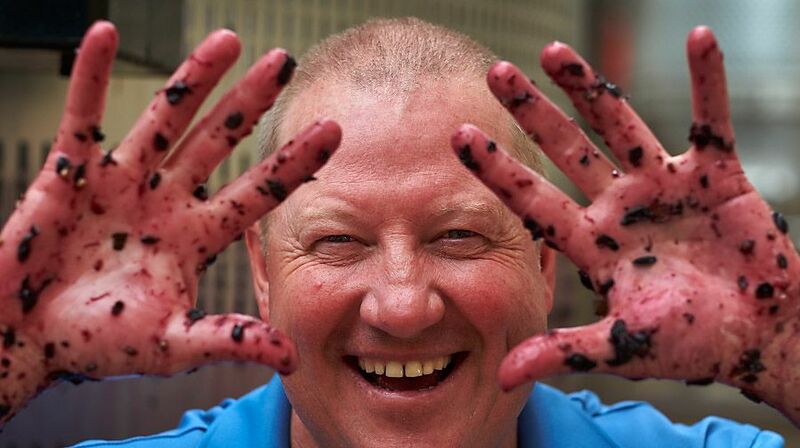 Yes, there is more sweetness in Grenache – however I also think its a South Australian thing. 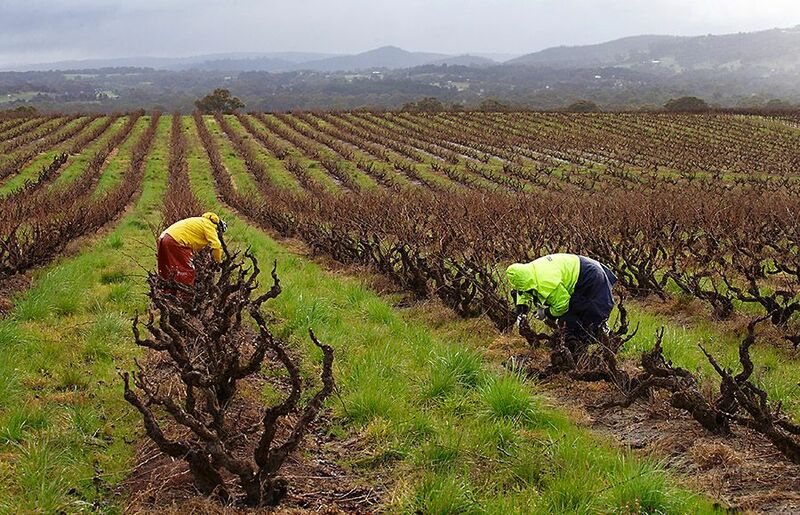 You know Victoria doesn’t do Grenache – NSW doesn’t do Grenache, WA doesn’t – they all have pockets of it but nobody really does it and I thought this is a South Australian story that really needs to be told. Old Bush Vine Grenache, in Adrian Hoffmann’s Sturt Rd vineyard, Ebenezer, Barossa Valley : Photo © Milton Wordley. 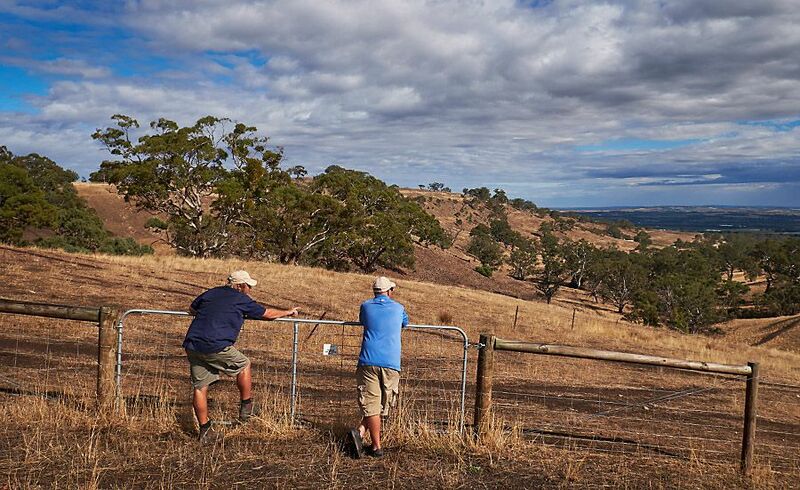 The big catch cry with this project is… ‘where else in the world can you get Grenache on it’s own old roots, un-irrigated, un-trellised and old vine’. We want to talk about natural wine – lets start with a natural resource! I think we’ve done a very poor job farming Grenache and a horrific job of making Grenache into wine in the past. Grenache vines are very hard to grow well. 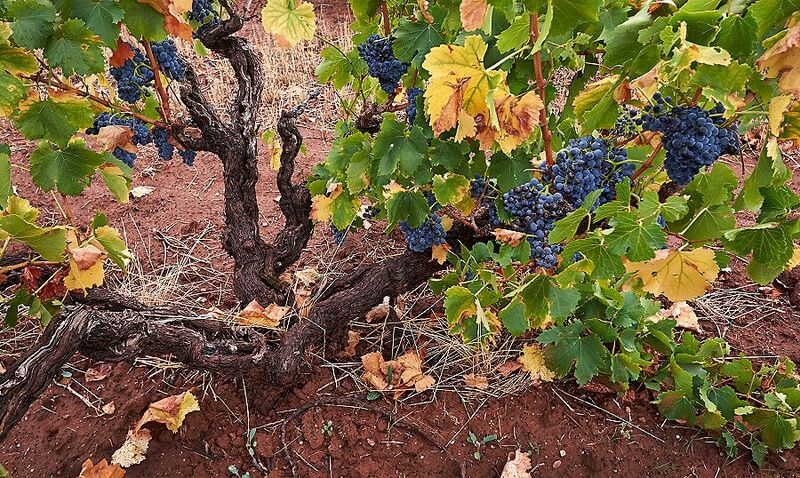 Grenache always wants to throw a big crop, it wants to show off…to throw out a lot of blind shoots…. to fill up its canopy. So you’ve got to do a lot of work early in the season by snapping out any blind shoots. You’ve got to thin it, you’ve got to cut half the grapes off to stop too much yield, you’ve got to get sunlight and air in the canopy early in the season. The tannin development in Grenache (or any grape) starts very early so you cant fix Grenache up later . You cant have a huge vegetative vine then go out in the last week of January and thin it and then pick it 6 weeks later and have a good Grenache. You’ve got to be right there from bud burst and you’ve got to time the process of when you thin it perfectly; it’s very difficult to grow. Young bush vine Grenache in the ‘Mattchoss Vineyard’ on the Yakka Line, at 504 metres in the Eden Valley : Photo © Milton Wordley. And making the wine ? Grenache is all about freshness. I want freshness but we leave the wine for 2 years, that’s why I use Stelvin – I want to trap in as much freshness as possible. How we make the wines is really interesting. They are all hand picked, I put about 20% whole bunches at the bottom of the fermenter – I had a heap of fermenters made for this project and then I bought a pigeage machine from New Zealand. I never crush the fruit, I only de-stem the fruit then lay it at the bottom of the fermenter. It looks like caviar, with the berries sitting on top. Depending on the berry size, I am happy to drain off 10% to 30% of the must … then chill it down to about 12 or 13 degrees then just let it sit for a week, don’t go near it, let the ferment start naturally and then when it starts we start to punch it down. Pump Over. Photo : supplied. All my Two Hands wines have always been pumped over. What I wanted to do here is to break those berries so through the course of the fermentation I want to change the skin to juice ratio; I want to be getting more juice as the ferment goes along. Then I want to do a post ferment soak, leave them about 4 or 5 days once they’ve gone dry and then I drain the juice off and then press whole bunches, really lightly, as they all have a carbonic kind of ferment within the berry. You will grab a berry and it will still have some sweetness in it, and I want to press so lightly that I want to get the juice outside of it. Then I put that in a barrel outside and I leave that barrel about three weeks because that is always still got sugar. I leave it in the sun and let it spin down – then I add that portion back to the free run portion and then I put it to barrel. But when I go to barrel, I go to puncheon like 500 litre barrels – I go half to stainless steel and half to older four and five year French oak puncheons. 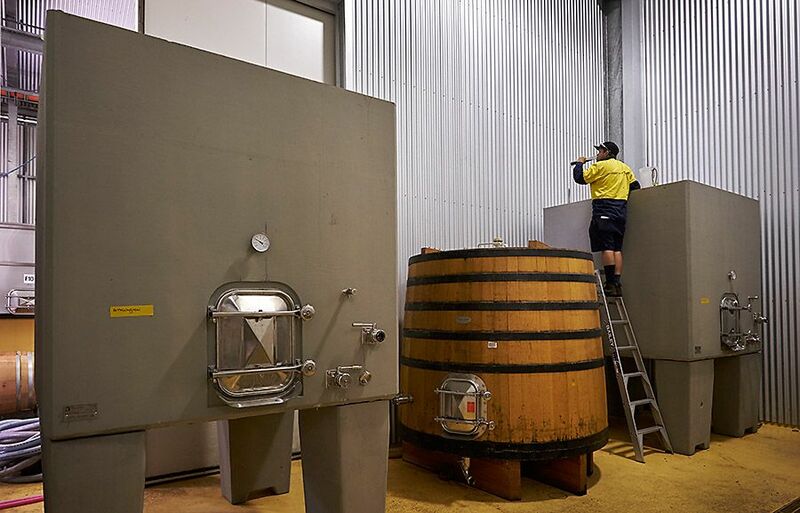 The four ton ‘Nomblot Concrete Fermenters’ in the Marananga Winery : Photo © Milton Wordley. I believe that wine is all based on fruit tannins. I want to taste the tannins from the skins, that gives you the velvety taste and the mouth feel that I think great wines have. We had these wines that had this old taste and the fruit deteriorated and you ended up with this kind of confectionery – they were just weird – we’ve moved on from that stuff. How has the Grenache project been received ? It’s been an interesting project, I wanted to show people that we at ‘Two Hands’ can make other styles of wine. 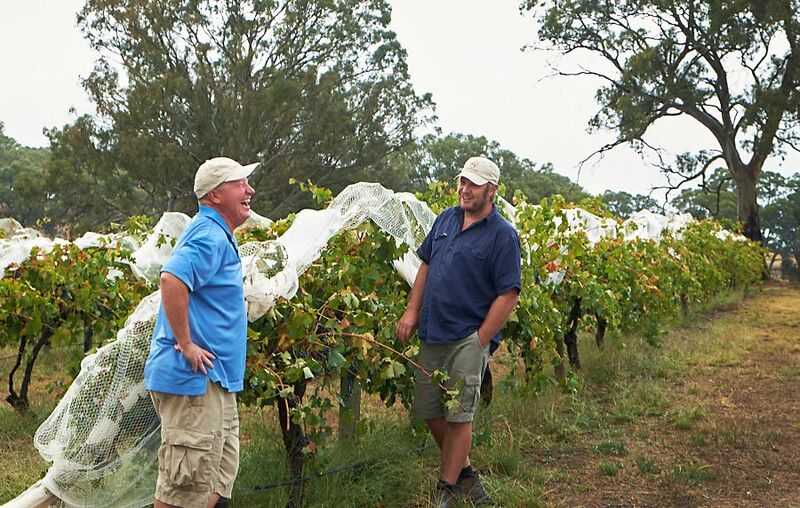 Its received phenomenal acclaim, from just about all the Australian wine scribes. The Grenache wave is coming and I want to make sure that when it comes Two Hands is on top of the heap. There’s some guys like Steve Pannell and Peter Fraser at Yangarra, out there at the moment and I want us to be with them. I think its a generational change; the younger generation, they get it… it can be lost on some people but these wines are so good around the table, they are fragrant, they have fine tannins. There are one or two that I just want to smell, I don’t even have to put them in my mouth – they are not taxing to drink. I think certain styles of Shiraz are brilliant but I cant drink more than a glass – they are so inky and dense, rich and powerful, one glass is enough. The whole idea of the six bottle single vineyard Grenache pack is not to taste them and find a favourite – that’s not the idea at all. It is just to appreciate the differences…it’s about place and regionality. We’ve done a horrible job here in Australia of talking about regionality. That’s because the major wineries that control the industry don’t want to talk about regionality – they want to talk about multi regional blends. That’s okay some of the time, but I think my generation’s job is to put our flag in the ground. We need to start talking about regionality and sub-regionality. 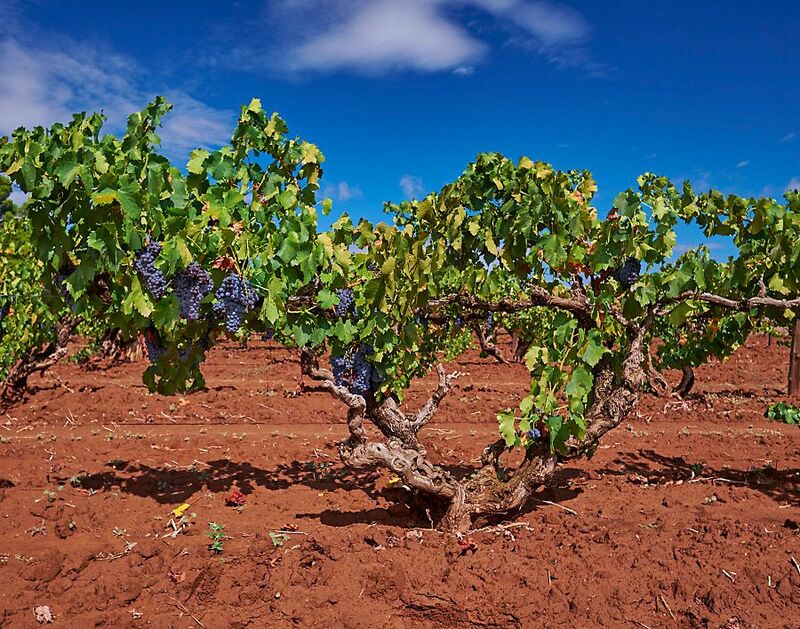 McLaren Vale, Yangarra ‘High Sands’ Grenache block, planted in 1946 : Photo © Milton Wordley. The Italians have done it really well so have the French, the Californians are doing it, we need to get on board. We are exporting the Grenaches – its very small volumes because it is a hard story to tell. That’s the one thing I would say about this project, but we are getting there. After 16 years of going all around the world pedalling Shiraz its so refreshing to have something new to talk about. And the six wines, how do you see them ? Easily the most powerful wine come from the McLaren Vale floor and the softest from Blewett Springs it is a magical place. 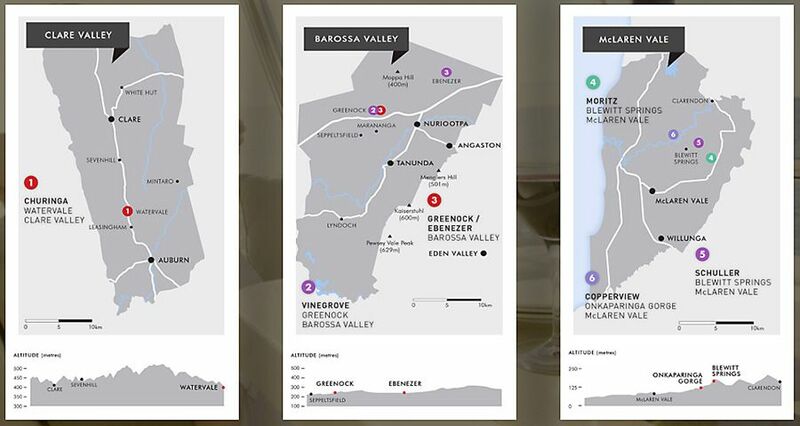 Clare, Barossa and Mclaren Vale vineyard sites. 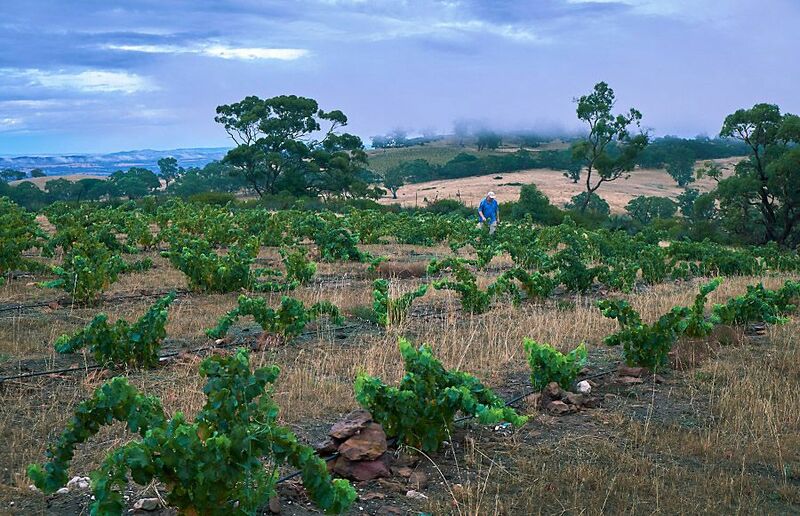 I make wines from McLaren Vale at elevations of 35 – 55 m above sea level . One is from Tatachilla and one from Seaview. Then I make two from Blewett Springs,one is at 175m and one is at 195m. I almost think of Blewett Springs as not being from McLaren Vale. What I love about it is that I could put you in the car and drive from the vineyards in McLaren Vale to Blewitt Springs in 10 minutes and make 2 very different styles of wine from each. 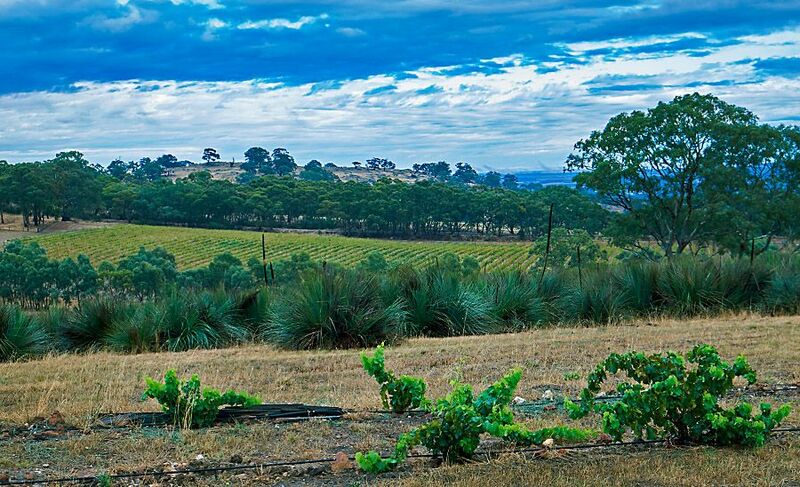 Grenache is very difficult in the Barossa – there is a lot of Grenache in the Barossa – but I don’t think much of it is any good. Its been a lot of years and walking a lot of vineyards to find ones that I think have that X factor. So I make one that I think is very elegant, the Sturt from Ebenezer; and one that is quite powerful, the purple and black fruit from northern Greenock. I don’t want to make a Chateau neuf, with this project, I want to make Australian Grenache. 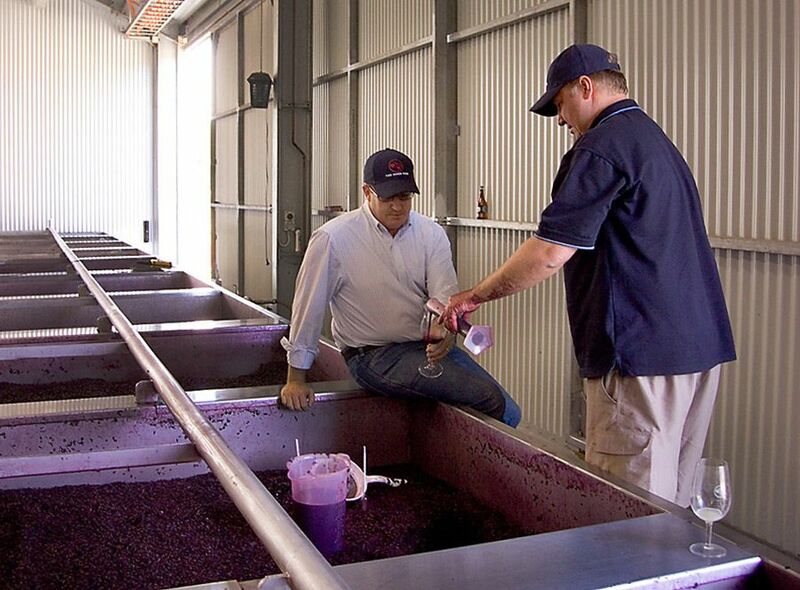 And with my other wines, I don’t want to make a Cote Rotie or Hermitage – I want to make Australian Shiraz. I’m trying to make the vineyard the hero, which is very foreign for Australia. How have your tastes changed since you opened the door at Two Hands ? The way I taste wines is absolutely identical – I have exactly the same format for tasting. My belief is that the acid of the wine is like the train tracks, the fruit of the wine is like the train coming into the station and the tannins are the brakes. Every wine has a start and a middle but not many wines finish. So in the top wines of the world, those three elements worked so synergistically that you finish with this lovely clean mouthfeel. 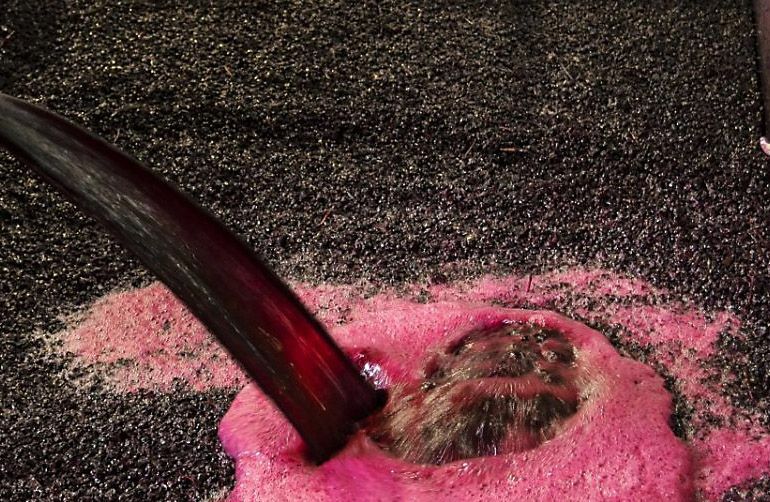 Winemaking is a very funny thing there is no finish line ( end point) – no matter how well you’ve done you never get to that point where you say – I’m finished (done) now . Every wine and every year is a little bit different. 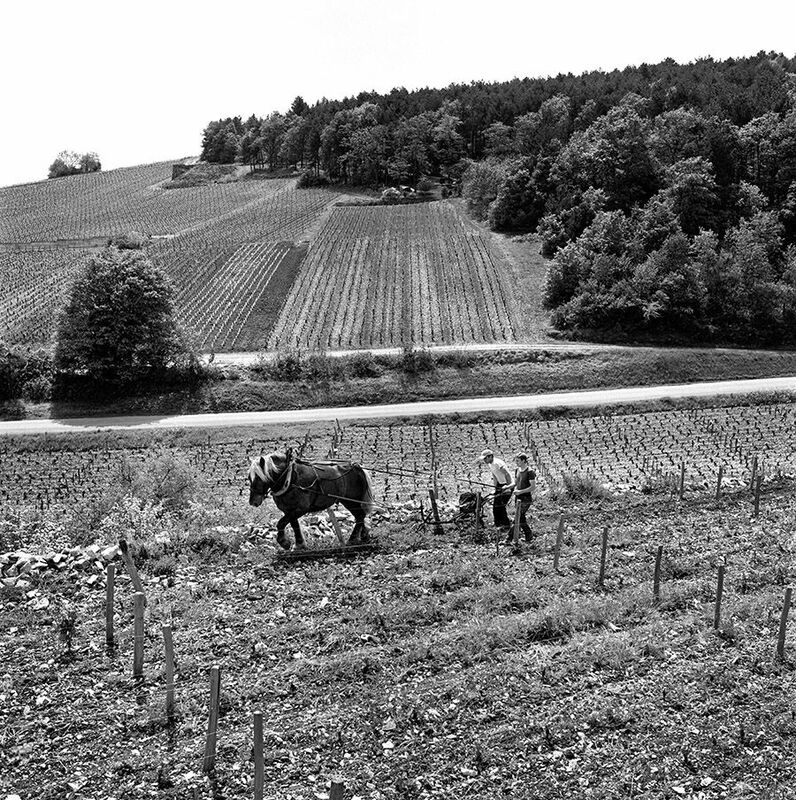 That’s what I like about the Burgundy, they look at the raw resource and they change what they are doing most vintages – but here its often very much to a recipe. You look at the fruit when it comes in – you taste the fruit – you have a theory about the fruit then you work accordingly with that fruit. That is instinct and real craftsmanship; that is how you make great wine. What do you drink when not at work ? You’ll never find me drinking a bottle of my own wine – I think that is a bit passé. My cellar consists predominantly of Germanic Riesling, Red and White Burgundy, Northern and Southern Rhone and a lot of Piedmont wines. 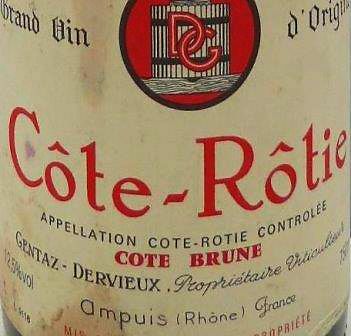 Domaine Gentaz Dervieux Cote Rotie Rhone Wine : Photo supplied by The Wine Cellar Insider. I get more pleasure opening someone else’s efforts because I can relax then. But to me it’s often not the wine, it’s who I share them with.For example, Gentaz Derviex is one of the rarest producers in Cote Rotie. He makes seven barrels of wine a year, from 100 year old vines in the Cote Brune. His last vintage was 1991. I took a bottle out to dinner with my dear friend Ronnie Sanders the other night, I also took a 1990 Chave to compare it to. Now both wines were phenomenal and we savoured both of them but I opened them because I wanted to share them with him, because he’s a special person. So once again the wines were a catalyst for a good time. Anything else you’d like to say : Future directions ? I’m incredibly lucky, we’re a beautiful size business, I have a wonderful group of employees, the wine sells, I’ve got a wonderful family, I don’t want for too much, I’m a very content person. I’m most probably not meant to be in the wine business, I’m most probably meant to be in construction but I started with not much and I’ve had a crack, travelled the world and have sold a lot of Australian wine along the way. The next few years are going to be very exciting, I am planting our land at Seppeltsfield. We are putting in an extra 70 acres. I spent last winter taking all the cuttings from my favourite vineyards, I believe we need to increase our clonal selection as far too much 1654 Shiraz has been put in the ground and it is making our wines far too mono toned. I have a new winery planned for 2018, as I want 75% of my vintage to able to be under ferment at one time. I am in the process of planting a heap of very steep sites in Eden Valley with Joel Mattchoss, I have just taken on the vineyard opposite Ashton Hill in Piccadilly and am having fun making fizz base and a little Chardonnay and Pinot………. the list goes on and on. 16 years in and I feel I am only just starting to scratch the surface. (1) Huon Hooke review and in response to Philip White’s Drinkster story, Michael replied.